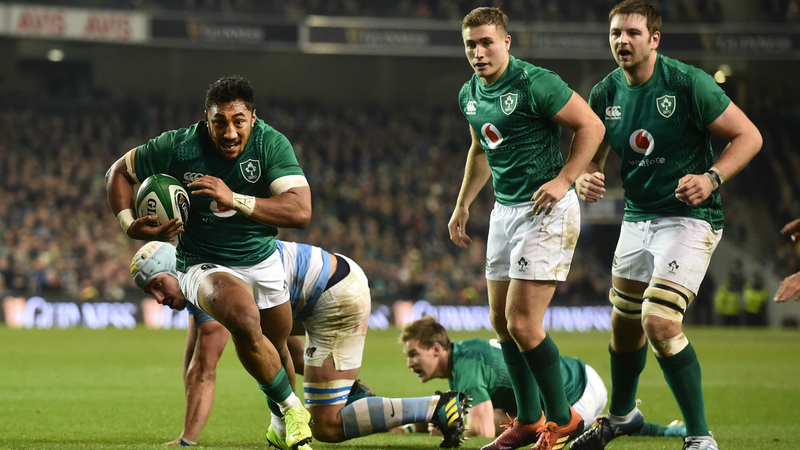 Ireland encountered stiff resistance from a gritty Argentina as they were made to work for a 28-17 victory in a hard-fought Test at Aviva Stadium on Saturday. Crushing 54-7 winners against Italy in Chicago last Saturday, Joe Schmidt's side enjoyed no such walkover in Dublin as they were made to wait until after the hour to make the result safe thanks to Luke McGrath's converted try. Ireland welcomed back captain Rory Best and Sean O'Brien also came in for his first Test since November 2017, but the fragile Leinster man's match ended with an arm injury sustained in innocuous circumstances during an even first half. The Pumas' scrum was relentlessly exposed, though, and proved their undoing when McGrath crossed shortly after a Johnny Sexton three-pointer. Though successfully maintaining their winning form, Ireland's performance will have done little to scare New Zealand ahead of next weekend's showpiece encounter. Argentina, with a squad comprised almost entirely of Jaguares players, began brightly as Sanchez slotted two penalties either side of Marmion's ninth-minute score. Greasy conditions contributed to a string of early handling errors but the visitors defied the conditions to produce a thrilling try midway through the half. Jeronimo de la Fuente burst through the line and the ball was quickly worked wide for Delguy to cross in the corner and establish a six-point lead. Argentina's scrum began to come under increasing scrutiny as Ireland forced a turnover and demonstrated patience through several phases to eventually work an opening that Aki exploited. Sanchez and Sexton traded penalties before the interval and the home side's frustration with their failure to pull away was exacerbated when Marmion limped off with an ankle problem just before the hour. The tension was relieved through McGrath as the 25-year-old darted into a gap to open an eight-point lead, before Sexton struck the last of his three penalties to consign Pablo Matera to a defeat in his first match as Argentina captain.